How does a netbook get the attention of consumers at a time when tablets, smartphones and hybrids are becoming more and more popular? Well, it does so by becoming better and by offering more to consumers while remaining very affordable. And that's exactly what Asus EEE PC 1025C is all about. Flaunting a new ergonomic and elegant design called Flare, Asus EEEPC 1025C comes with innovative hardware and software features that will show you how far the netbook - as a device - has gone since the EEE PC was introduced by the Taiwanese company in 2007. On the hardware-side, 1025C, which runs Windows 7 Home Premium with the new Intel Atom N2800 Cedar Trail dual core CPU, comes with a 10.1-inch LED back-lit display, a full keyboard with island-style keys, a sizable trackpad, a 0.3 MegaPixel webcam supporting up to 4-times digital zoom and almost the same number of ports you'll find on full-fledged laptops, namely, two for USB 2.0, one for USB 3.0, a multi-card reader, one for LAN, a 3.5mm audio jack and get this, an HDMI port for connecting the netbook to a larger display. As mentioned, Asus EEE PC 1025C features Intel's new Cedar Trail processor. This CPU promises up to 15% enhancement in processing speed while delivering up to 10% increase in battery life compared to Intel's previous generation of netbook chips. On top of the energy-efficient processor, 1025C also comes with ASUS Super Hybrid Engine II (SHE II), which not only enables 2-second resume of from sleep but also lets the netbook go into a battery-saver mode, which extends its uptime even further - up to 12 hours with the 6-cell battery. 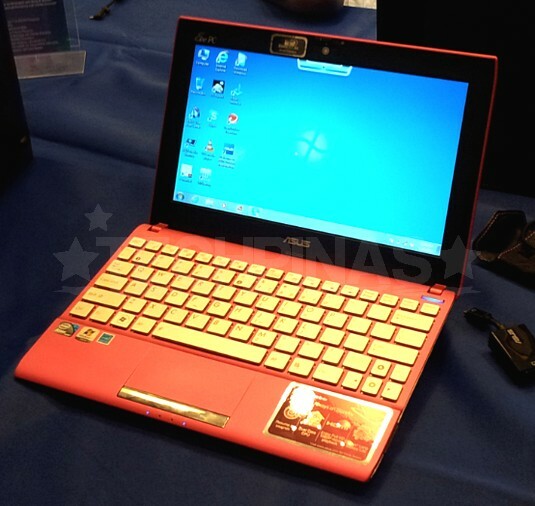 Asus EEE PC 1025C is now available in the Philippines. It comes in two colors, namely Paris Pink (or Light Pink) and City Grey - both with silver-colored keys. The official suggested retail price is only Php 16,995. Not bad, I think.